We expect our children to respect us when they're young; they're taught that lesson from early on. But what happens as our parents age? Their needs will change as their very world and all that's in it changes around them. When my dad passed away two years ago, leaving behind my mother, my husband and I realized that our roles as children would also have to change as she aged. She had lost her partner of over 40 years, so a huge sense of stability in her life was now missing. My dad, even at his weakest, was her fierce protector. She felt a sense of safety with him around. She was now afraid of being alone. Her anxiety increased as her physical agility decreased. She needed to feel valued again, but knew her physical limitations would limit what she was able to accomplish. Life for mom had changed, drastically. And she was trying to come to terms with it. Last year we asked her to come live with us on a full time basis. We assured her it would be a blessing for us to have her live in our home and be a part of our family. While it was obvious to her why she might be blessed by his arrangement, she was unsure how her living with our family would end up blessing us. In the months that have followed, I can tell you that we have all loved having mom here with us. She has truly been a huge blessing to our family. The excitement that my kids felt moving across country was heightened knowing that grandma was moving with us. We are now a family of 5. She has added to their education about life. Her perspective, while a couple generations removed, is still so relevant and she's knowledgeable. She has lived through World War II, the Korean War, Vietnam, the civil rights movement, the Cold War, the assassinations of JFK, RFK, Martin Luther King, Jr., The Beatles, the Moon landing and black and white TV. She has seen the world change drastically in her 70+ years, and while the changes were not always good ones, she has taught my children that we can always make a difference in the world for Jesus - a lesson she taught me a few decades ago. Loving our parents is sometimes different than honoring them. I can love someone in silence or from a distance. But to honor someone, I must open myself up to them. I must let go of pride and ego, and give them the space they need to brightly shine and be the light that God (still) intends them to be, for His glory. Honoring my mom means that I value her, I cherish her and I acknowledge her worth in as many ways as I possibly can. Looking at my boys, I hope this life lesson is one that they have taken to heart. I think it is. I think that they see how important a place their grandma has in our home; not taking away from anyone else's place...but adding to our whole family. 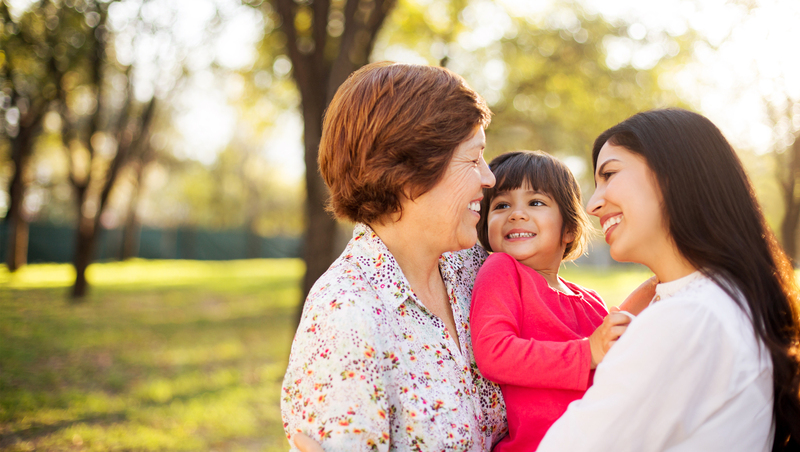 As adults, how do you choose to honor your parents? How do your kids see you living this Commandment?